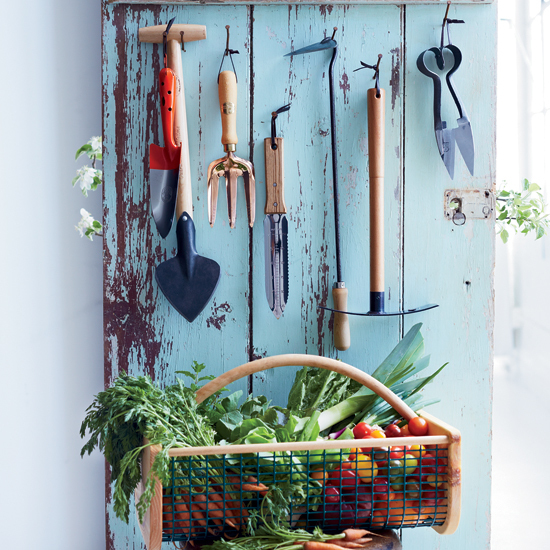 Instead of selling mass-produced garden tools that break after a season, stores are now stocking beautiful implements that last. Ash-Wood Spade Blacksmiths in Holland make this DeWit spade for dividing perennials, removing weeds and planting bulbs. $38; shopterrain.com. Copper Hand Fork The tines on this Austrian hand fork deposit copper in the soil, which helps repel slugs and snails. $59; williams-sonoma.com. Hori Hori Knife This Japanese tool has one straight edge, for weeding, and one serrated edge, for dividing plants. $35; williams-sonoma.com. Hand-Forged Hoe The long handle on this hand hoe helps to reach around plants and dig at weeds. $42; ashfieldtools.nedjames.com. Extra-Strong Hoe Part pickax and part hoe, this lightweight tool is great for weeding and pulling large stones out of the ground. $30; kaufmann-mercantile.com. Sharp Shears Produced for more than 280 years in Sheffield, England, these Burgon & Ball steel garden shears are easy to use. $53; kaufmann-mercantile.com. Garden Hod This harvest basket is made from reclaimed lobster traps. $45; planetnatural.com.